In 1992, Jean-Claude Rouzaud, oenologist and Board Chairman of Champagne Louis Roederer, acquired and combined two Cru Bourgeois vineyards in the heart of the Medoc’s prestigious Saint-Estèphe appellation: Château Picard and Château Beauséjour. Together, these properties make up what is now called Château Haut-Beauséjour. The 20 hectare Saint-Estèphe vineyard of Château Haut-Beauséjour is dominated by Merlot. The vineyard is planted to 50% Merlot, 40% Cabernet Sauvignon, 5% Malbec and 5% Petit Verdot. The terroir is gravel and clay with some limestone. 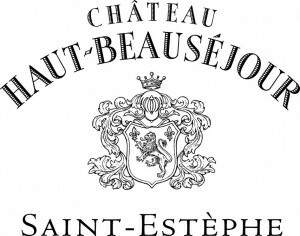 The wine of Château Haut-Beauséjour is vinified in traditional, large wood vats and aged in about 35% new, French oak barrels for about 12 months. On average, close to 8,500 cases of Château Haut-Beauséjour are produced every year. Vatting: 22-30 days. 2013 was a cool, wet year, with the exception of July and August. The harvests took place quite late, at the end of September. The warm, very humid conditions of the vintage created a high risk of botrytis and therefore required meticulous grape sorting. This unusal vintage was vinified gently to avoid excessive extraction. Careful attention was paid to the barrel ageing process in order to preserve the balance between a fruity character, body and a structured, tannic backbone. Complex and fresh on the nose dominated by aromas of tangy, vibrant fruit. Soft and refreshing on the palate with notes of rhubarb and praline on the finish. Lamb, red meats, cheese, truffle.